Valve has unlocked several rewards for players who bought the Dota 2 Compendium; including the option to pause and rewind live matches as they are streamed. New emoticons, weather effects, and the mini-Pudge courier will also be making an appearance, although some of these will only be available to players who level up their Compendiums. Allowing players to pause matches to catch a quick bathroom break, or even rewind to watch a particular interesting move is definitely part of the buildup to the upcoming The International Dota 2 Championship. It may be the only way for most people to tune into the event as tickets are already sold out. Owners of the Compendium with a higher level will also be receiving access to different versions of the Lieutenant Sqawkin Styles courier. 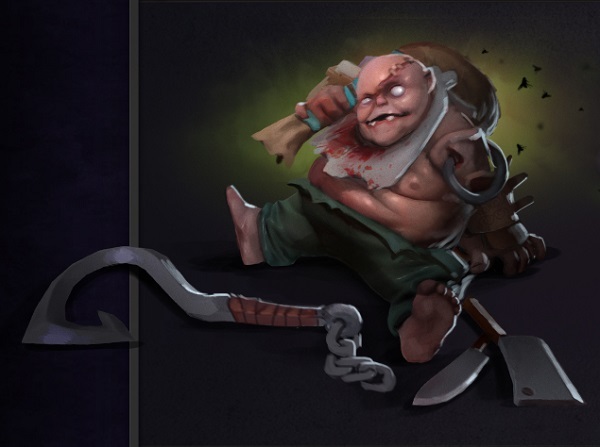 Although this isn’t as interesting as the mini-Pudge courier that is available to everyone who has bought a Compendium. Apparently this particular carrier will also receive a golden hook upgrade when the Compendium hits level 50. Although actually hitting level 50 without spending money may take quite a bit of time. Aside from this, 25 new emoticons and weather effects have been added to the game. Like everything else, the emoticons are only available for those who purchased the Compendium. Although the weather effects are available to everyone via items to be equipped. These effects are purely cosmetic and don’t provide anything to the game besides adding ambience to game.